Metamoff Gallery: Eyebrows Sketching, Urban Decay long lasting colours. Although I am just recovering from my flu, I had to go in for class today, as I will be missing out on class the follow Saturday due to work matters. I also had to settle my enrolment issues with Metamoff Gallery. Today I decided to sign up for more make up classes under Metamoff Gallery. Today is my 5th class. TY had a few options for me to chose from, as I came in through the Groupon pathway. 5, 10, or 25 (Compressed Bridal Course). I chose to sign up for ten more, making it a total of 15 classes. She said I can decide to top up to 25 depending on my progress after completing the next five classes. Because I am signing up for advance classes now, TY says she will be a lot more stricter on my make up application skills, as she wants me to build a strong foundation before going on to work on eye colour application and blending skills. Today I worked on sketching the normal, and sharp eyebrows. I did a few pages of both. Apparently that still wasnt enough, as later in the evening when I was trying to translate my drawing to a 3D surface aka. my face, it came out rather uneven. My mother said the same thing, to draw eyebrows on paper.... >_< Guess I need to work harder to have my money and time's worth out of the classes I attend. an eyebrow pencil, sponges, some blades, a spatula, and some other stuff. There weren't that many students attending today, as many had gone back to their hometown for the elections tomorrow. Hence TY had more time to chat with us. Screenshot taken from Urban Decay website. 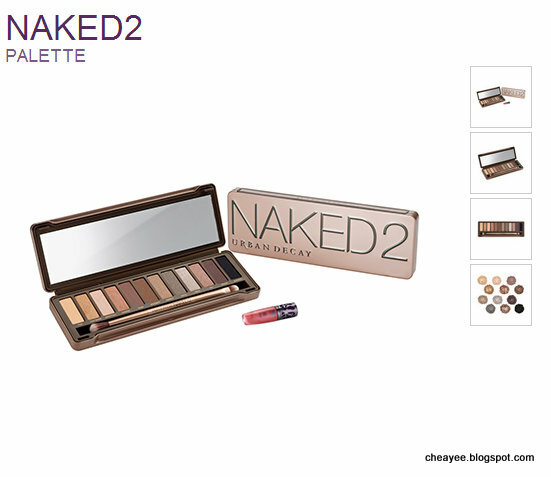 One of the students in class had brought the Urban Decay Naked 2 consisting of a 12 eye-shadow palette set to class. Despite being a fan of Bobbi Brown for their foundation and certain other base cosmetics, TY also recommends Urban Decay retailing at Sephora (KL) for their long lasting pigment eye shadows. My cousin, Agnes also swears by it. Having three recommendations from three different persons, I think there wont be any harm to have a look at it the next time I happen to swing by Sephora. Anyways, regardless still need to work on my two types of eyebrow sketches. To those voting tomorrow, may the best party wins!